Today, in our Freeware Page we posted the first part of a brief research we made to discover the free online services, now available, to create webpages and posts. In particular, in this Part 1 we tested http://disposablewebpage.com/ and http://posterous.com/. Disposablewebpage is a very particular website builder because each website you create, has a life of just 90 days. It could be useful for all that temporary projects you want to share with your friends for a brief period or to reach specific goals in a bigger plan. 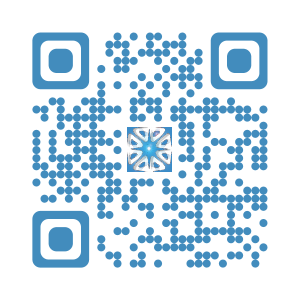 Disposablewebpage is very simple to use but the graphic results are very basic. On the other hand, disposablewebpage allows you to invite your friends or your colleagues in order to completely share the website and the project. In our point of view, Posterous is even more interesting because it is so simple to use that everyone can develop his/her own post. 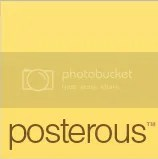 We tried posterous and we were able to create and update our new test post in not more than five minutes. You can post just using your email (gmail.com, yahoo.com,hotmail.com, or aol .com); you have to insert the title in the subject field and attach all the images you want directly on your email. Recommended! This entry was posted in Computers & Internet, Free Software Magazine, Freeware, freeware blog, Freeware Reviews, freeware tip, freeware tips, GNU/Linux, Linux, Linux & OpenSource, Tech, Technology, Technology and Software, Technology News, Tecnologia, tools, windows and tagged blog, create, disposable, disposablewebpage, online, online tool, posterous, tools, webpage, website on May 24, 2009 by Galigio. Today, in our Freeware Page, we added a brief review about two, multiplatform free services offered by th piratebay.org. The first one is PasteBay which allows you to quickly create, save and protect (in a basic way) your own notes when browsing on internet. PasteBay is very intuitive, quick to use and effective. The only “trouble” could be the simple http connection (instead of https) and the password you choose that could be weak if you do not choose it in a proper way. The second online service offered by thepiratebay.org is bayimg which allows you to store images for your websites in 140 different formats. Each image could be uploaded till 100MB so it is possible to save online also high resolution images. We have spent five days testing the features offered by these two websites and we have really not found any problem or bug. Recommended! This entry was posted in apple, Computers & Internet, free software, Free Software Magazine, Freeware, freeware blog, Freeware Reviews, freeware tip, freeware tips, GNU/Linux, Linux, Linux & OpenSource, MAC OS, Tech, Technology, Technology and Software, Technology News, Tecnologia, windows and tagged free, free hosting, free software, Free uncensored text hosting, Freeware, hosting, image, image backup, image hosting, notes, online, online feature, photo, photo collection, photo manager, text, text editor, text hosting, text notes on April 13, 2009 by Galigio. Symbaloo: a new interesting web portal to improve your time efficiency in internet! This week in our Freeware Page we posted a review about Symbaloo: a new interactive web portal which allows you to directly manage many everyday tasks directly on the web. As soon as you register yourself on Symbaloo you are able to freely modify your personalized Symbaloo, adding new features or deleting the default ones. Symbaloo is an interactive grid with 60 different squares (each of them hosts a different feature) and a central rectangle where some of your features can directly be visualized. Symbaloo is very flexible and allows you to deeply personalized itself. During our test we did not find any bugs and we were able to insert the 95% of the the features we planned to create there. Moreover, clicking on the plus (+) button on the upper left corner you can create a Symbaloo news page or share a new Symbaloo public page with your friends. Just to know, Symbaloo is available in The Netherlands, Spain, France, the UK and the US in beta. To sum up, it is possible to affirm that at the end of a three days test we do think that Symbaloo can really contribute to reduce time wasted on routine internet tasks. Something to try! This entry was posted in apple, Computadoras, Computers & Internet, Free Software Magazine, Freeware, freeware blog, Freeware Reviews, freeware tip, freeware tips, GNU/Linux, Linux, Tech, Technology, Technology and Software, Technology News, Tecnologia, web portal, windows and tagged Calendar, Freeware, freeware blog, Freeware Reviews, freeware tip, online, Online Bookmark Manager, online calendar, online email, online feature, online task, starting point, Symbaloo, web 2.0, web po, web portal on August 17, 2008 by Galigio.